20% OFF + Extra $15 Zazzle Coupon - Verified 36 mins ago! Zazzle is a leading online marketplace for customized apparel and merchandise, based out of Redwood City, California, United States. Zazzle does not have any retail outlets. Everything is accomplished through their Zazzle.com online store. With Zazzle coupons, here you can buy things just like any other online retail outlet. They sell some of their own basic designs, and that of their partners, but the majority of products are those that have been designed by other users. The idea is that you make your own custom merchandise for yourself (e.g. invitations), but can also sell it to others for profit (e.g. business cards). Exclusions: Excludes embroidery digitization, screen-printed apparel, fabric, gift cards, Zazzle Heart products, products made by Apliiq, Beltcraft, Big Shot Bikes, Bound Journals, Distinctive Suspenders (Sartorous LLC), Foxy Originals, Good Wood NYC, ScarfMaker, Way Basics, White Faux Taxidermy, Yellowleaf Hammocks. Details: Get Unlimited Free Standard Shipping with Zazzle Black! Get a free 30-day trial and save on your order today! Sign up today! Details: Big Holiday Deals! Get Up to 50% Off Bestsellers. 50% off gift tags, greeting cards, invitations, postcards, 40% off buttons, coasters, magnets, ornaments, rubber stamps & 20% off sitewide. Depending on your geographic location, you can go to a localized version of the website, which will also display your local currency. You can make savings on your purchases from the website by applying one of the Zazzle coupon codes from our up to date list here at Coupofy, such as the Zazzle stamps coupon. We update our list whenever new offers and deals are made available, so you never have to waste time searching elsewhere for something that will work. Remember to check back here before ordering to ensure you get the most savings possible! Zazzle was conceived back in 1999 by Robert Beaver and his sons, Bobby and Jeffrey. However the site took considerable development and did not got live until 2003. It was backed by Google investors John Doerr and Ram Shriram, to the tune of $16 million. Today it is one of the biggest stores of its kind on the web and has an Alexa ranking of 1,425, making it one of the most visited websites in the world. Sites like Zazzle include Cafepress, which is their biggest competitor at this time. Zazzle has a very wide range of items that you can buy, customize/create, and even sell. Any design you make that is trademark free can be made public and sold on the site, earning you commission for every sale! If you are a shopper you can use a Zazzle promo code to get money off your orders. Depending on what's available at the time this may be applicable to all products or specific items only, such as the Zazzle business card coupon. Clicking on a coupon here at Coupofy will reveal further details about its terms. The main categories are split between Shop (where you can buy others creations), Create (where you can make your own), and Sell (where you can sell your own creations). Items include clothing for men, women and children; such as t-shirts and hoodies. As well as cases and covers for electronics, stickers, art and poster prints, mugs and drink ware, office supplies, stationary and marketing materials, and many others. Popular products include the Zazzle business card and Zazzle stamps. If you are planning a part or event you might also want to consider the Zazzle Invitations. Zazzle coupons can be redeemed for products in many of these categories, simply enter the code during the checkout process. A popular choice is the Zazzle business card coupon. The creation process is very simple, and involves uploading an image of your design and using basic editing tools to place it on to your chosen product. You can add text and other visuals from within the editing suite itself. Zazzle supports most common credit and debit cards for payment, including Visa, Mastercard, and American Express. You can also easily checkout and pay with your Paypal account. If you wish to redeem a Zazzle online coupon, all you have to do is enter it carefully in to the designated box during the online checkout process. If valid you will see a confirmation message and your order should update according to the terms of the coupon. Localized sites include US, Canada, UK, Germany, Spain, France, Portugal, Sweden, the Netherlands, Austria, Switzerland, Belgium, Australia, New Zealand, Korea, and Brazil. Because a lot of Zazzle.com products have to be made to order, shipping can be a bit longer than regular online stores, but in some cases they will still dispatch within 24 hours. You will be charged a shipping fee unless there is a Zazzle coupon free shipping offer available. Shipping is charged based on the size and type of merchandise ordered, so to get an accurate quote you should add items to your basket and enter a delivery address. United States customers can choose from Express, Premium or Standard shipping services and Express ships in one business day from manufacturing, 2-3 days for premium shipping and 4-7 days for Standard. The company uses a variety of carriers but mainly ships via USPS and UPS. 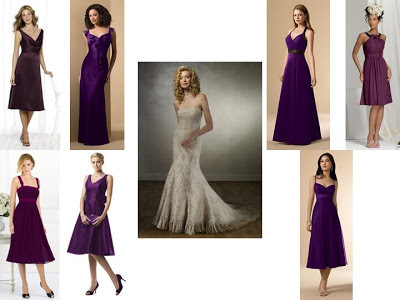 When a Zazzle free shipping coupon code is available, you will find it alongside our other Zazzle coupons. If you do not want your item for whatever reason, Zazzle allows you to return it unused for a replacement, refund or store credit, as long as you initiate the process within 30 days of purchase. They will only cover return shipping costs if your item was damaged during delivery. In this case you will be given a special prepaid shipping label to print out and stick to your parcel. Returns as easily initiated from with your online account. Zazzle has multiple contact options depending on your country and how you wish to communicate. The US Zazzle phone number is 1-888-8ZAZZLE (1-888-892-9953) or 408-983-2800. You can also send an email using their contact form on the site. Zazzle offers three core money making opportunities. As a designer you can design as many products as you like and you choose the price mark-up yourself. They handle everything else and send you your cut at the end of the month. 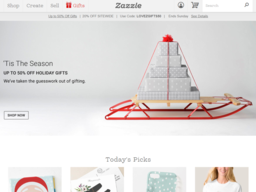 If you are an exiting brand or manufacturer you can join Zazzle's platform to help you market your products to a winder audience. You can also join their affiliate program that allows you to make money by referring new customers. You can make 15% per sale and earn more if you make a large volume of sales. Zazzle is the perfect site if you want to order high quality custom merchandise. The only editing suite allows you to easily upload images and add text, and as long as the images are of high quality themselves, there should be no issue with printing. One of the great features about Zazzle is they offer multiple styles and qualities of apparel, so you don't have to settle for standard cheap t-shirt. One negative is that pricing is quite steep, but it's hard to get the same quality elsewhere.